Hardnott Pass | Pedal Dad! 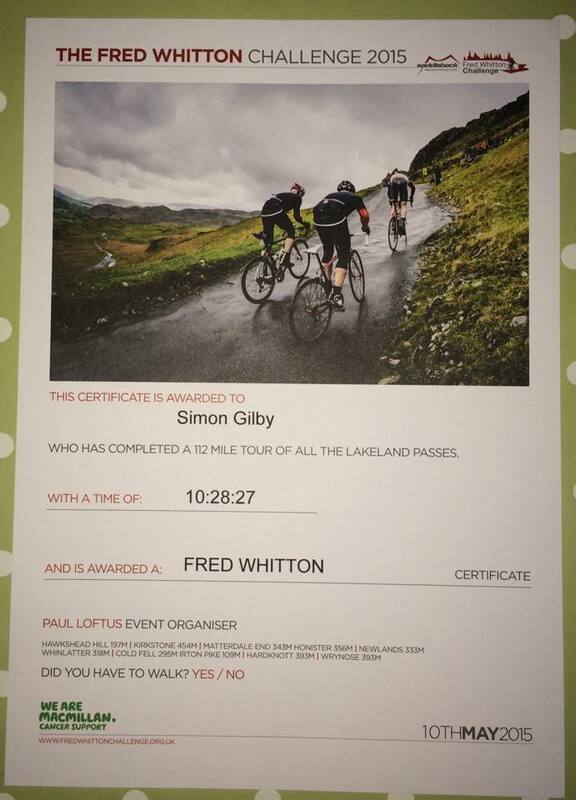 If you’re a cyclist and haven’t heard about it, stop reading now and forget you ever saw the name of The Fred Whitton Challenge. Good. So now you’re either a non-cyclist or a rider who has heard about The Fred and decided it’s not for you. If you are one of the latter, keep it that way!! 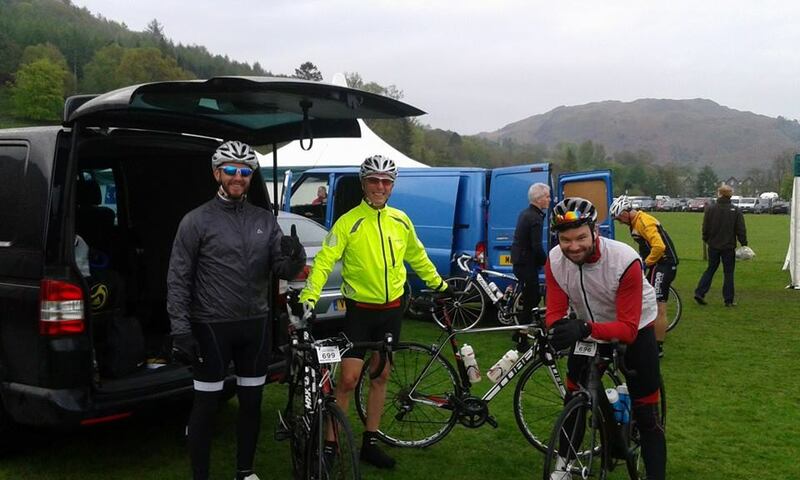 After last years RAID Pyrenees I fancied a more manageable, marquee, domestic challenge this year so in the winter I got the lads together and entered the “UK’s hardest sportive” in the Lake District. How hard could it be? Well, I wish I’d really got my head around the answer to that question earlier. How hard? Very. We registered on Saturday so spent the afternoon and evening trying not to enjoy too many local beers in Hawkshead where we stayed over night. Planning to start as early as possible we headed back in to Grasmere at 5.30am on Sunday only to find that everyone else had the same idea – so it was nearly 7am before we’d reached the start and finally got away. The first climbs start after a mile or two and it’s relentless from there on in! The first “foot down” section came at Newland Pass after about 35 miles. Pushing through on the pedals, my front wheel lifted off the ground, landed at an angle and I headed off the road on to the grass verge. The steepness of the road made it impossible to get going again so I had no choice but to walk until the gradient softened up a bit. With riders all over the road, some walking, some passing “on the right”, you have to have your wits about you at all times. Especially on the way down: these brutal climbs give you none of the descending rewards you get on bigger mountains. They’re sharp, steep, winding, narrow roads that were damp and covered with gravel. Mountain Rescue marshals constantly tell you to slow down and if it was your legs that were hurting on the way up, it’s your hands, shoulders and forearms that ache on the way down as you strive to find the sweetspot on the brakes to keep moving slowly down the hill. 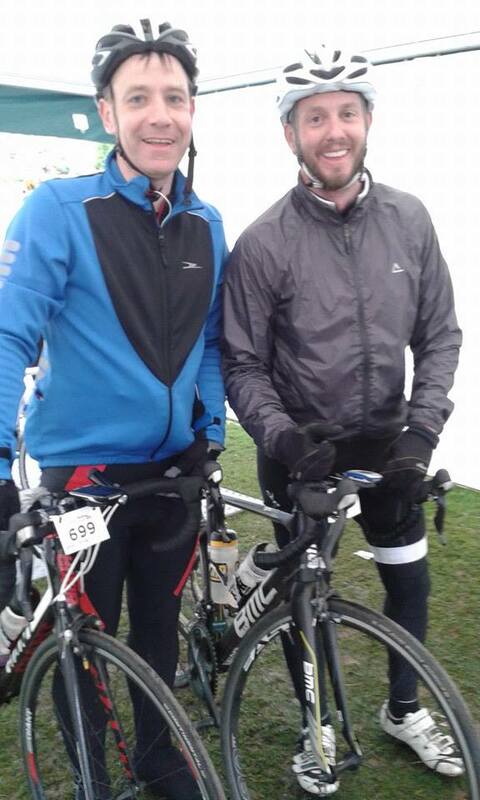 By the time I’d reached the first feed stop I was cold, tired, cramping up and ready to go home. After getting colder and more miserable we headed off to a climb starting a out 100 yards after the feed station and plodded on in to head winds, cross winds and hills. 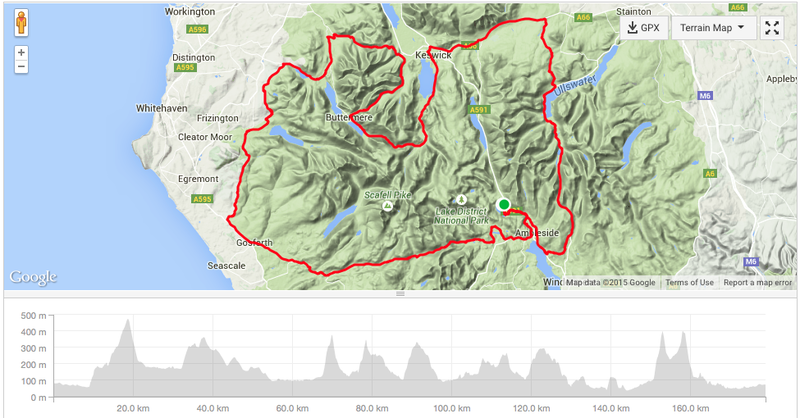 Cold Fell is one of the lesser spoken about points of the ride but up the top of the moor (?) the crosswinds were a constant challenge. On the rare occasions that we were on the flat, the wind would try to whip way the wheels as an ongoing reminder that, no matter how fatigued you felt in body and mind, you have to keep your guard up! After some views of Sellafield and the Irish Sea you arrive at the next stop is at 81(ish) miles. Only after several cups of coffee, a couple of sandwiches and mouthfuls of malt loaf did I feel ready to head off to the toughest section of the ride. We had a good group for 10 miles or so until everything got broken apart by Hardnott Pass. It really is the beast of the ride over a mile long, averaging 30% gradient and popping up after 94 gruelling miles only the strongest can pedal all the way to the top. I cramped up after about 300 yards, a woman in front just fell off when her pedals stopped turning and everyone around me was walking – apart from my mate Robbie. He got halfway up before his back wheel spun out and he had to unclip. Another crappy descent leads straight on to Wrynose Pass which is 25% average for about a mile. Robbie got up that one, I cramped and walked (as you can tell, there was a pattern going on here). After those two climbs the countdown to the finish begins and the roads become a little more humane. Soon enough the route finds its way back down to Ambleside, along the lakeside and eventually, over 10 hours after starting, back to Grasmere and the finish. I greeted the finish with a certain numbness. Pleased it was over, disappointed at how I’d coped with the ride and the conditions and unable to feel any sense of achievement after walking on 3 occasions. I’m writing this over 48 hours after finishing and I still ache, I’m still tired and I still know that it was the first and last time I’ll be taking on that ridiculous challenge!